Workstation cranes are ideal for work cells, where there is a sole operator. They can be extended and relocated quite easily and allow for manual handling. Ideal for assisting materials in travelling short distances, they have a load capacity of up to 2 tonne and can span up to 10.3 metres. There are two types of workstation cranes, including ceiling mounted and free standing, with a choice of manual or electric chain hoists. Work Station Cranes are a proven way to improve productivity, increase quality, and provide a safer work environment. 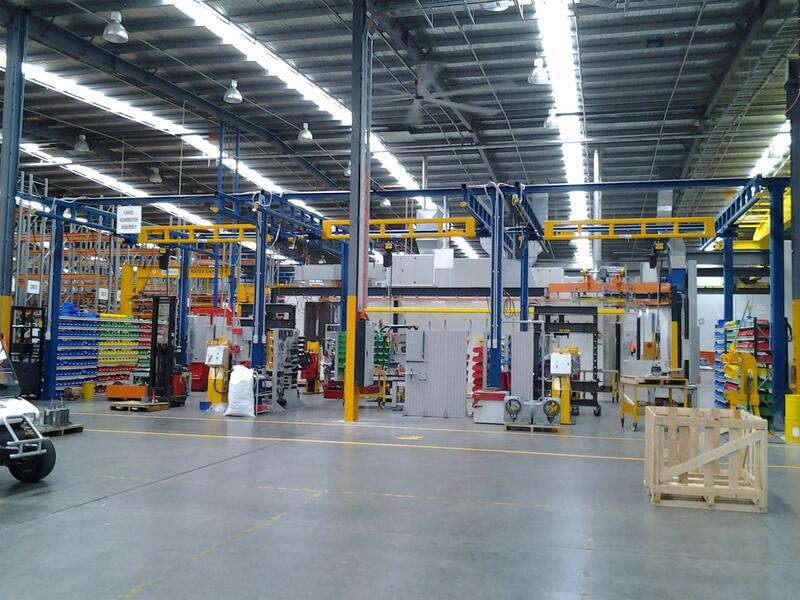 Both the aluminium and steel Workstation Crane Systems utilise enclosed track that is high in strength and low in weight. Ceiling Mounted: These can be easily mounts to any substantial structural building column or ceiling. Free Standing: This is a bridge crane with its own support frame. Enclosed Track Workstation Cranes and Monorails. Workstation cranes are ideal for work cells, where there is a sole operator. They can be extended and relocated quite easily and allow for manual handling. Ideal for assisting materials in travelling short distances, they have a load capacity of up to 2 tonne and can span up to 10.3 meters. 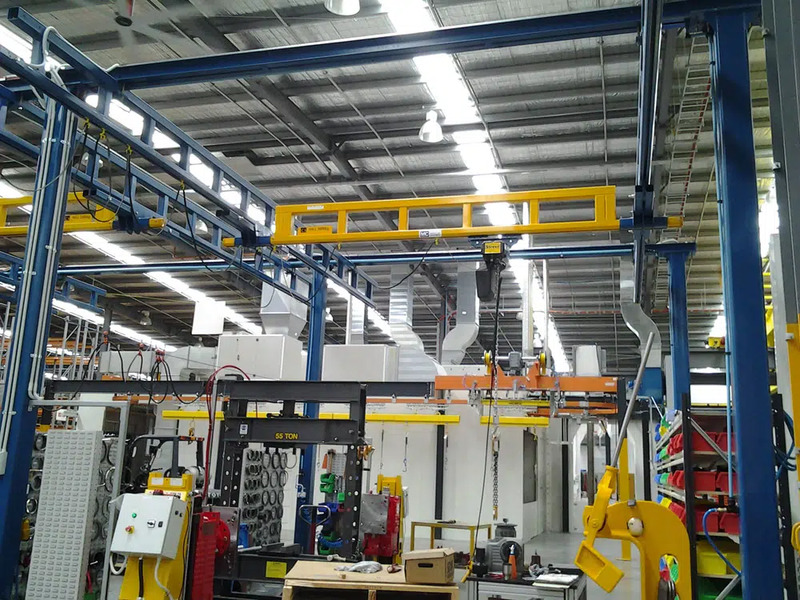 There are two types of workstation cranes, including ceiling mounted and free standing, with a choice of manual or electric chain hoists.